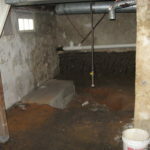 Summary: An emergency contractor excavated more than 500 cubic yards of No. 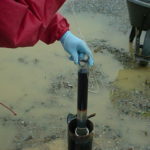 2 fuel oil-impacted soil after the homeowner suspected a fuel loss from an underground storage tank (UST) system. 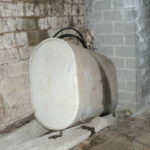 Heating oil impacts were observed to extend in the bedrock at the base of the excavation. 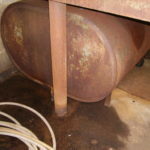 Summary: A fuel oil supplier mistakenly delivered heating oil to an abandoned tank system at this day care center. 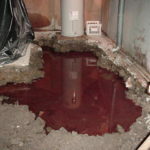 Fuel oil spilled onto the basement floor and onto the soil outside the house, beneath the fill and vent pipes.